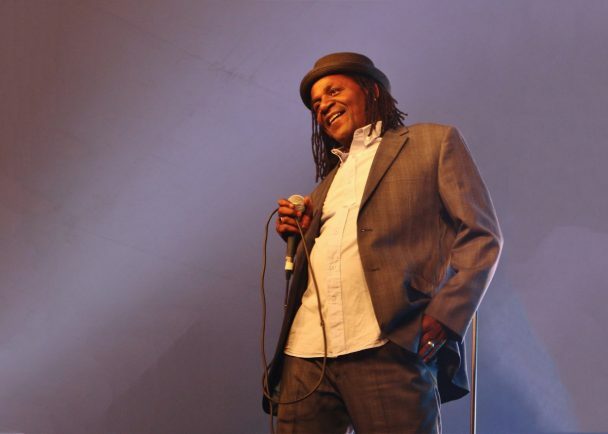 NEVILLE Staple, ‘The Original Rude Boy’ from Coventry’s greatest band The Specials, is to be honoured with a lifetime achievement award from a city school. Foxford School in, Grange Road, Longford, Coventry, usually presents the award to former pupils but has this year decided to honour Neville, partly for his significant contribution to the city’s history and culture. He will received his award on Saturday afternoon (May 20) at the school’s ‘Family Fun Day’ free for all members of the public (from 11am to 2am). He and Christine Staple will play a few songs, as will other acts. There will also be games, bouncy castles, food, dance, market stalls and much more. Previous recipients have included fellow ‘2-Tone’ Ska revivalists The Selector, and the singer Hazel O’Connor. Neville was born in Christiana, Manchester, Jamaica and moved to Rugby, aged five, and later moved to Coventry. He was initially active in the sound system scene, forming his own crew called “Jah Baddis”. He became a regular fixture at the Locarno ballroom in Coventry where he met its resident DJ, Pete Waterman. Pete was involved in the seventies reggae scene before going on to become a major pop producer in the 1980s. Neville has since enjoyed 35 years in the music business, from the early days with The Coventry Automatics, to the chart-topping and still globally celebrated The Specials, to FunBoy3, The Special Beat and various other collaborations during his solo career from the 1990s to today. Of how music changed his life as a teenager, Neville said: “The whole rude boy thing has two meanings to it. Being rude was just as it sounds. You didn’t want to conform, you rebelled and you got into all kinds of trouble. “The other meaning was more about the clothes, the music scene and the swagger. I was probably part of both meanings, although veered more to the fashion and music once I grew out of the borstal and fighting scene. “I went into touring with my Jah Baddis Sound System, then became friends with Jerry Damners (The Specials), who originally agreed to let me help out as crew, for the band equipment (before Terry and Brad came along), then realized my Jamaican style with lyrics was the missing flavour to band songs. Neville is also an honorary patron of The Coventry Music Museum.